One of the most fundamental, absolute and non-derogable rights is the Right to freedom from torture or cruel, inhuman or degrading treatment or punishment and from medical or scientific experimentation. Everyone has the right to free prior informed consent to medical treatment, including individuals with a mental health disability. The Right to not be subjected medical or scientific experimentation without one’s free consent is absolute, non-derogable, ius cognens and erga omnes. Non-consensual human medical experimentation, which violates one's rights to life, health, and personal integrity, is universally condemned as a violation of customary and codified international law. The involuntary administration of the off-label misbranded drugs violates Article 7 of the ICCPR as well as the ethical standards set by the Nuremberg Code and the Declaration of Helsinki. The Right to freedom from torture or cruel, inhuman or degrading treatment or punishment and freedom from medical or scientific experimentation is a human rights principle that has the status of jus cogens, and thus is ipso facto entrenched against treaty amendment or repeal. The United States has signed and ratified the International Covenant on Civil and Political Rights (ICCPR) and The Convention against Torture and Other Cruel, Inhuman or Degrading Treatment or Punishment (the United Nations Convention against Torture or CAT). Both treaties delineate the prohibition against torture. The ICCPR specifically identifies non-consensual experimentation within Article 7 of the ICCPR. The ICCPR contains no provision on termination or withdrawal, and the Human Rights Committee in General Comment 26 of 1997 declared that there was no such intention so that a state may not withdraw from it. Finally, Article 103 of the UN Charter provides that ‘[i]n the event of a conﬂict between the obligations of the Members of the United Nations under the present Charter and their obligations under any other international agreement, their obligations under the present Charter shall prevail’. Chief Justice Marshall in Foster v. Neilson recognized that our Constitution, specifically the Supremacy Clause, establishes the general rule that treaties are enforceable in U.S. courts, just as the Constitution and federal statutes are. 1. The voluntary consent of the human subject is absolutely essential. This means that the person involved should have legal capacity to give consent; should be so situated as to be able to exercise free power of choice, without the intervention of any element of force, fraud, deceit, duress, over-reaching, or other ulterior form of constraint or coercion; and should have sufficient knowledge and comprehension of the elements of the subject matter involved as to enable him to make an understanding and enlightened decision. This latter element requires that before the acceptance of an affirmative decision by the experimental subject there should be made known to him the nature, duration, and purpose of the experiment; the method and means by which it is to be conducted; all inconveniences and hazards reasonable to be expected; and the effects upon his health or person which may possibly come from his participation in the experiment. The duty and responsibility for ascertaining the quality of the consent rests upon each individual who initiates, directs or engages in the experiment. It is a personal duty and responsibility which may not be delegated to another with impunity. Reprinted from Trials of War Criminals before the Nuremberg Military Tribunals under Control Council Law No. 10, Vol. 2, pp. 181-182.. Washington, D.C.: U.S. Government Printing Office, 1949. Medical practice is meant to enhance the well-being of an individual patient or client and is expected to have a reasonable expectation of success. The purpose of medical, psychological or psychiatric practice is to provide diagnosis, preventive treatment or therapy to individuals. Within clinical medical practice, physicians are ethically required to obtain free prior informed consent for any treatment. Free prior informed consent for treatment is especially important when a clinician departs in any significant way from standard or accepted practice, or utilizes a medication that the FDA has not approved for that use. Although medical professionals can use a medication that is "experimental," (in the sense of being new, untested or different), this does not absolve the physician from disclosing to the patient the possible risks and benefits of treatment and obtaining free prior informed consent. 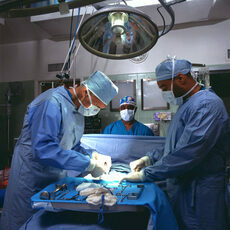 Failure to obtain proper and legal free, prior and informed consent is considered medical malpractice. The process of obtaining consent must involve three elements: information, comprehension and voluntariness. Consent obtained by deceit, misinformation, or coercion is not legally valid. Information supplied in English to a patient whose only language is Spanish does not comply with the comprehension aspect of informed consent. Providing information only in very detailed scientific terminology that is not understood by lay person, is also not complying with the comprehension aspect of informed consent. Without free prior informed consent, experimental treatment on human subjects is prohibited by U.S. law. Radically new medications should be made the object of formal research at an early stage in order to determine whether they are safe and effective. Thus, it is the responsibility of medical practice committees to demand that the ethical principles of the Belmont Report are applied and human rights of patients are protected. The United States has accepted as an ethical standard the prohibition of non-consensual scientific or medical experimentation by promulgating federal laws which expressly prohibit such practices – The Common Rule – “The Federal Policy for the Protection of Human Subjects.” The Common Rule (45 CFR Part 46) was adopted in 1991.
International Human Right Treaties signed and ratified by the United States clearly are a statement of the U.S. Congress’s purposes and objectives in regard to human rights. Thus, an interpretation of the United States obligations under the International Covenant on Civil and Political Rights (ICCPR), in conjunction with the ethical and legal standards of the United States Constitution and the U.S. Bill of Rights a natural person and citizen of the U.S.A., has the right to bring a petition to the Inter-American Commission on Human Rights in support of his/her human rights as defined under International Human Rights law and the customary human rights norms. Certain rights, such as the right to freedom from torture and freedom from non-consensual experimentation, are non-derogable, and as such, cannot be suspended even in times of national emergency. Human rights such as the prohibition against crimes against humanity, torture and non-consensual scientific or medical experimentation are considered to be absolute. There are implied erga omnes duties for the United States to prohibit non-consensual experimentation and torture. The principle of the prohibition against non-consensual experimentation to be fundamentally norm-creating character and the widespread practice of protecting human subjects is considered legally or morally obligatory - Opinio Iuris. The United States Congress has clearly indicated through the ratification of the ICCPR, (Article 7) that it is the purpose and the intent of Congress to protect persons from non-consensual experimentation. The United States Congress has also implemented Article 7 of the ICCPR in domestic legislation to protect human subjects from non-consensual experimentation – The Common Rule (45 CFR Part 46). The United States Congress has made its intent clearly evident by 1) ratifying the ICCPR (including Article 7), 2) Holding extensive discussions regarding the ethical need for human subjects protections, 3) publishing The Belmont Report and 4) legislating The Common Rule. The Common Rule (45 CFR Part 46) is federal legislation drafted and entered in force under proper constitutional procedures and thus it is enforceable by the Court. By legislating The Common Rule through a thorough and detailed political process the United States federal government has expressed the political will of the people to protect and defend the rights of persons against non-consensual experimentation. On July 12, 1974, the United States National Research Act (Pub. L. 93-348) was signed into law, there-by creating the National Commission for the Protection of Human Subjects of Biomedical and Behavioral Research. One of the charges to the Commission was to identify the basic ethical principles that should underlie the conduct of biomedical and behavioral research involving human subjects and to develop guidelines which should be followed to assure that such research is conducted in accordance with those principles. In carrying out the above, the Commission was directed to consider: (i) the boundaries between biomedical and behavioral research and the accepted and routine practice of medicine, (ii) the role of assessment of risk-benefit criteria in the determination of the appropriateness of research involving human subjects, (iii) appropriate guidelines for the selection of human subjects for participation in such research and (iv) the nature and definition of informed consent in various research settings. The Belmont Report (1976) is a formal statement by the United States government regarding the ethical standards and accepted legal norms regarding the use of human subjects in medical, behavioral or scientific experimentation. The Belmont Report summarizes the basic ethical principles identified in 4 days of deliberations supplemented by the monthly deliberations held over a period of nearly four years. It is a statement of basic ethical principles and guidelines to consider in the use of human subjects in research. It was published in the Federal Register so it could become ethical guidance for U.S. researchers, scientists, governmental employees and Institutional Review Boards (IRB). The Belmont Report identifies three basic ethical principles that are particularly relevant to the ethics of research involving human subjects: the principles of respect of persons, beneficence and justice. The Committee for the Prevention of Torture (CPT) has stated: "Patients should, as a matter of principle, be placed in a position to give their free and informed consent to treatment. The admission of a person to a psychiatric establishment on an involuntary basis should not be construed as authorizing treatment without his consent. It follows that every competent patient, whether voluntary or involuntary, should be given the opportunity to refuse treatment or any other medical intervention. Any derogation from this fundamental principle should be based upon law and only relate to clearly and strictly defined exceptional circumstances." UN Special Rapporteur on Torture, Manfred Nowak stated in the Interim report A/63/150. 28. July 2008. SRT (2008) UN Special Rapporteur on Torture. Interim report A/63/150. 28. July 2008. The prohibition of torture is one of the few absolute and non-derogable human rights. Medical interventions can become inhuman and degrading treatment. They might arguably meet the criteria for torture, which is prohibited by international law. The United States of America has a duty to have to prevent, prosecute and redress abuses in health care. (Inter-American Convention to Prevent and Punish Torture). There are many more cases of torture and ill-treatment in health-care settings than are officially reported to US authorities. Victim/survivors of this kind of abuse often are unable or unwilling to report what has happened to them. Thus, official reports represent only a small fraction of this problem. Ill treatment is not justified by health care system inadequacies or lack of medical resources. Individuals have the right to an adequate standard of health care (“right to health”). The right to be protected from torture and ill treatment also provides objective restrictions on certain kinds of therapies. These rights have been delineated in multiple international human rights documents and in the relevant case law, but unfortunately color of law, and color of official right violations of these rights routinely happen within mental health institutions, prison and correctional institutions, long term care facilities and in the provision of health care to financially disadvantaged populations such as foster children. The doctor-patient and doctor-human subject relationship is a relationship in which the doctor has great power and authority. In this imbalance of power, ethical violations of human rights can and do occur. The persons most vulnerable to exploitation as human subjects of medical research are those who are already marginalized and disadvantaged. Groups such as migrants, prisoners, children, people with disabilities, racial and ethnic minorities are more likely to be targeted by researchers. Medical research and the approval of prescription drugs are global concerns. Much of the research done by U.S. pharmaceutical companies is happening worldwide. Africa and other nations who are economically disadvantaged have been targeted by large international pharmaceutical companies to be sites of clinical testing. However, as human rights violations of corporations become known, people in the developing world are less willing to become guinea pigs – and for good reason. This fundamental distrust lies in the paradox of Hobson’s choice “Experimental medicine or no medicine at all”. Often the medical research offered does not fully protect human rights nor provide to those participating in the research the full benefits of the findings. This leads to another concern regarding the “Right to Life”. In that persons in the developing world are often denied innovative therapies and important research developments regarding diseases and conditions important to their communities. Even within the U.S.A., there are impacts of the withholding of the potential benefits of research while at the same time exploiting those same vulnerable populations as research subjects. This leads to unequal access to treatment modalities as well as treatment that is not inclusive of the specific needs of those vulnerable populations. Human subject research includes experiments and observational studies in basic biology, clinical medicine, nursing, psychology, and all other social sciences. There are various codes for the proper and responsible conduct of human experimentation in medical research, the best known of these codes are the Nuremberg Code of 1947, and the World Medical Organization’s Helsinki Declaration of 1964 (revised in 1975). The US Federal Policy for the Protection of Human Subjects or the “Common Rule” was codified in separate regulations by 15 Federal departments and agencies. The United States Department of Health and Human Services (HHS) regulations 45 CFR part 46 governs all federally-funded research in the United States. The Right to Informed Consent is delineated in the federal regulation Protection of Human Subjects, 45 CFR 46 also known as the Common Rule under the authority granted by the U.S. Department of Health and Human Services. There are also Welfare Codes for the conduct of social and behavioral research such as that published by the American Psychological Association in 1973. Informed consent is consent obtained freely, without threats or improper inducements, and after appropriate disclosure to the patient of adequate and understandable information in a form and language understood by the patient. Engaging in an informed-consent process between a clinical doctor and a patient should be an essential part of the standard of care in medicine. Informed consent is a process, not just a formality, and engaging in that process is of the essence of good medical care. Information must be provided to the patient in a timely manner and in accordance with the accepted standard of practice among members of the profession with similar training and experience. A health care professional may be legally liable if a patient does not give "informed consent" to a medical procedure and it results in harm to patient even if the procedure is properly performed. Adequate informed-consent process is not just a risk management process; it is good medical practice. Informed consent should define risks and potential benefits, but also take into consideration alternative treatments. Informed consent is an agreement to do something or to allow something to happen, made with complete knowledge of all relevant facts, such as the risks involved. There is a general right for all human persons to be free of inhuman treatment and individuals also have the legal right to privacy under international human rights law. International human rights case law supports the concept that individuals do have the legal right to decide whether a proposed medical treatment will be performed on them. The human right to decide one's own treatment does not disappear just because it is more convenient or financially more beneficial for the caregivers or for the family members of the individual to force treatment. This right to decide to refuse treatment is a human right we all enjoy. Mental health treatment under human rights law should be the same as other treatments in regards to consent to treatment. But it is a sad fact that this right has not necessarily been consistently protected and thus through our mental health systems extended to people with mental disabilities. Patients need to have the intellectual capacity to understand basic information about their diagnosis and proposed treatment. Correspondingly doctors have a responsibility to communicate the information in terms the patient can understand and to make efforts to be available to answer questions the patient may have. Informed consent, with specific reliance on the Nuremberg Code, is also the basis of the International Ethical Guidelines for Biomedical Research Involving Human Subjects, the most recent guidelines promulgated by the World Health Organization and the Council for International Organizations of Medical Sciences (1993). The Nuremberg Code focuses on the human rights of research subjects, the Declaration of Helsinki focuses on the obligations of physician-investigators to research subjects, and the federal regulations emphasize the obligations of research institutions in the U.S.A. that receive federal funds. Human subject research includes experiments and observational studies in basic biology, clinical medicine, nursing, psychology, and all other social sciences. Human Subjects of medical experimentation are placed at risk when investigating unconfirmed hypotheses about treatments. Research subjects can experience serious adverse health effects because of participation in trials including death, shortened life expectancy, or significant decrease in the quality of the person’s life. Patients/Human Subjects can also be placed at risk by patterns of investigative medical practices that are premature and based on an inadequate understanding of a new technique or new drug – or because of direct deceit or fraud by drug or medical device manufacturers about their products. In 1974, the U.S.A. signed a law empowering the National Commission for the Protection of Human Subjects of Biomedical and Behavioral Research (hereafter called the National Commission or Commission) was charged by the U.S. Congress to identify the basic ethical principles that should underlie the conduct of research involving human subjects. In 1979, the National Commission published the Belmont concerning the Ethical Principles and Guidelines for the protection of human subjects of research. The Belmont Report admits that research involving human subjects always inherently raises ethical and moral issues. The Belmont report delineates 3 major principles: Respect for persons, Beneficence and Justice. The Belmont report provides a strong protection regarding informed consent and also discusses justice and injustice in regards to vulnerable populations. Belmont was then adopted in its entirety as a policy statement by U.S. Department of Health, Education, and Welfare (DHEW) - now called the Department for Health and Human Services (DHHS). Its principles of respect for persons, beneficence, and justice are regarded as the three quintessential requirements for the ethical conduct of research involving human subjects by the National Institutes of Health (NIH) Office for Protection from Research Risks (OPRR). In the US, most research involving human participants funded by federal government agencies is subject to the Common Rule — Title 45 Volume 46 which is a set of regulations delineating the requirements for review by an institutional review board. Control of pharmaceutical and device products is vested by statute in the Food and Drug Administration (FDA) within HHS. The involvement of human beings in such research is prohibited unless the subject or the subject’s legally authorized representative has provided prior informed consent, with only very limited exceptions. A waiver of informed consent by the Institutional Review Board is supposed to be granted only in circumstances where the research presents no more than minimal risk to subjects, and the waiver will not adversely affect subjects’ rights and welfare. However, pharmaceutical companies that fund their own independent research that utilize human subjects in clinical practice, are not subject to the same monitoring as federally funded research institutions and thus escape oversight of their human subject use. 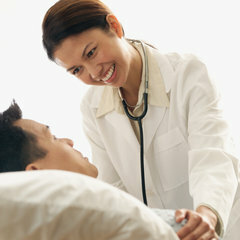 The provision of medical care has become very complex and the worldwide nature of today’s medical community. There is the practice of medical research within clinical therapeutic settings and the use of clinical doctors in their therapeutic settings to research the effects of the newer drugs and treatments. This obtains data on the effects of newer drugs and treatments prior to their full review by the Food and Drug Administration. For this reason, it is difficult for the average patient, a lay person, to understand whether they are getting safe and effective medical care. In the U.S.A., there is an increased use of prescription drugs “off-label” or without the approval for that use by the Food and Drug Administration (FDA). This essentially means that these drugs have not been proven by scientific evidence to be safe or effective. These “off-label” medications are quickly marketed in other countries “off-label” as well as in the U.S.A. It is important for medical progress that there be an adequate regulatory process based in transparency, integrity and accountability. Medical professionals need accurate information about new treatments, drugs and devices. Medical science is a rapidly evolving field but the human rights of patients should and can still be protected while still providing for the development of meaningful new treatment options. The efficiency of clinical trials is enhanced by obtaining clinically relevant information. The FDA regulatory process should be firmly grounded in scientific evidence and driven by public health interests. The Food and Drug Administration regulatory efforts should be based on substantial evidence from adequate and well-controlled clinical trials regarding both safety and efficacy of products and procedures. The issues involved in the governmental regulation of drug, biologic and medical device industry are increasingly complex. How that regulation impacts the human rights and clinical outcomes of patients is critically important. There has been limited dissemination of truthful information. Prescription medications and medical devices have been mis-branded and illegally marketed and prescribed within the U.S.A. The pharmaceutical and device manufacturers and researchers have powerfully influenced governmental legislation and administration regulatory policy. This has impacted the decisions of practicing physicians, and ultimately the care of their patients. Wards of the court and other vulnerable persons who have a surrogate decision maker such as a Guardian involved in their medical care, can become the victims of deceptive marketing practices. Deceptive and coercive marketing practices by the pharmaceutical industry are common place. The practice of marketing drugs for purposes not backed by science is called “off-label promotion.” There have been serious conflicts of interest in the selection of published scientific medical journal articles, medical school curriculum and even physician post-doctoral continuing education. Third-Party entities and the media spread mis-information about prescription drugs through the internet and social media. These sources of information often are the first source of information that health professionals and patients use to find out about both the risks and the benefits of medical products. These inaccurate statements often refer to medical indications not approved by the FDA and this information has not been reviewed or approved by the FDA. Thus, misinformation is utilized to advertise prescription drugs and medical devices, and directly impacts treatment decisions by doctors and ultimately clinical outcomes for patients. What may appear as a consensus of medical approval is a carefully planned marketing effort to influence medical decisions on mental health care. Among the many marketing strategies used by the pharmaceutical industry are: 1) One-to-one detail marketing to doctors and professionals 2) Continuing education seminars and sponsorship 3) Pharmacy specific advocacy groups 4) Ghost-writing of “scientific” articles and dissemination of unsupported “medication algorithms” 5) Direct-to-consumer advertising 6) Intense legislative lobbying 7) Suppression of research findings through control of research findings and research grantees 8) Illegal marketing of psychotropic drugs for off-label purposes 9) Bribing state officials with cash payments to add atypical antipsychotics on Medicaid formularies. There is a global distribution of pharmaceutical products. Medical research done in one nation will be used to obtain regulatory approval in another country. A drug approved for use in one country will rapidly acquire acceptance in other countries often through reciprocity. Thus, if one nation has poor regulatory control over medical products or prescription medications, it will affect other nation states as well. In an examination of off-label prescribing of 160 common drugs, off-label use was also found to account for 21% of all prescriptions, and most off-label drug uses (73%) were shown to have little or no scientific support. These drugs are widely prescribed for unapproved uses, including other non-approved conditions significantly boosting their sales. These prescription drugs do not live up to their marketing promises but instead have been known to cause serious, even fatal side-effects, particularly in children and the elderly. The highest rates of off-label use were for anticonvulsants (74%), antipsychotics (60%), and antibiotics (41%). Atypical antipsychotics and antidepressants were particularly likely to be used off-label without strong evidence. The very drugs which are most often prescribed off-label with little or no scientific support to indicate that the medication is truly beneficial to the patient, are the same drugs which commonly cause serious debilitating medical conditions and even death. Research can be disguised as “treatment,” but instead actually be a harmful or deadly experiment done without the patient’s knowledge or informed consent to treatment. All subjects or their representatives who consent to participate in medical research should be enabled 1) to freely choose whether or not to become enrolled, 2) to comprehend what is being told to them, and 3) to understand essential information about what the research entails, and what their options are. The principle of Free, Prior and Informed Consent is an important human right which has been addressed in many international and domestic laws and practices. Guardianship keeps people in institutions and negates the right of people with disabilities to exercise legal capacity, an aspect of the right to recognition as persons before the law. Often guardianship and the use of surrogate decision-makers is used to circumvent informed consent rather than making an honest attempt to discern the wishes of the person. To refuse to recognize the individual patient's human right to informed consent is contrary to the recognition of the legal capacity of persons with disabilities on an equal basis with others. Civil commitment laws create a separate regime of detention and involuntary treatment applicable only to persons with psychosocial disabilities that is discriminatory in purpose and effect. In situations of civil commitment and compulsory mental health treatment the U.S. Supreme Court recognizes infringements of the liberty interest (a Constitutional Right) but asserts that these infringements are justified by state interests. These practices pose a serious violation of mental and physical integrity by their close connection with disability-based discrimination, as analyzed by UN Special Rapporteur on Torture Manfred Nowak. Wards of the court have assigned surrogate decision makers for both legal and medical decisions, thus wards are prevented even from effective appeal to the Judge or even to their US Congressmen/Congresswomen. In the U.S.A. the guardianship system offers few procedural protections, and has spawned a profit-driven professional guardianship industry that often enriches itself at the expense of society’s most vulnerable members—foster children, the disabled and elderly. When medical professional chose to proceed with emergency guardianship in the court system, they do so secretly behind closed doors. By the time the family realizes what is happening, the legal process is already completed and guardianship has been granted by the court. Without ever talking to the patient or the family, Judges are making life changing decisions about these proposed wards. Thus, the ward, who has the most to lose in these proceedings has often little or no input, in addition family members may not even be appraised of the court proceedings until after emergency guardianship has been already established – thus depowering them to act as advocates for their family member. A Los Angeles Times investigation similarly uncovered numerous instances of egregious abuse by guardians where evidence of abuse was already in the courts’ own files. Nearly 75 percent of America’s courts do not have a computerized data system to track guardianship cases and identify problems. Nearly 20 percent of courts do not require annual accounting of a ward’s finances. Among courts that do collect such information, more than one third do not have an official who is designated to verify the content of the guardians’ reports, and less than 20 percent verify every report. In more than 40 percent of courts, no one is assigned to visit individuals under guardianship to determine if they are being abused or financially exploited. Judges often out of expediency grant the guardian complete powers over a ward despite the principle of limited guardianship. It is important that the guardian stands for the human rights of the ward not for compliance with the hospital or doctors' wishes. But Judges routinely accept without question the written documents submitted by the medical proxy decision makers, without questioning their financial and sometimes pharmaceutical research related motives. Judges should instead make sure that they do true substantial judicial due diligence and insist that wards are transported to the court or that in some manner direct face-to-face communication is established with the Judge. Judges need to question whether a drug that is not approved by the FDA needs to be used on a ward of the court – especially in light of growing evidence of adverse effects, lack of evidence of efficacy and successful litigation against the drug manufacturer. Forcing wards of the court to take medications that are “off-label” – not approved for that use by the FDA, is tantamount to human experimentation on the vulnerable wards of the court. Patients need to have the intellectual capacity to understand basic information about their diagnosis and proposed treatment. Correspondingly doctors have a responsibility to communicate the information in terms the patient can understand and to make efforts to be available to answer questions the patient may have. Skepticism by the patient in such circumstances does not mean that the person does not have capacity to make treatment decisions. Even if the patient, due to their disability, cannot believe the doctor's diagnosis that doesn't mean that the patient does not have capacity to make treatment decisions. Essentially, people have the right to make treatment decisions under Principle 19 of the UN's "Principles for the Protection of Persons with Mental Illness." International human rights case law supports the concept that individuals do have the legal right to decide whether a proposed medical treatment will be performed on them. The human right to decide one's own treatment does not disappear just because it is more convenient or financially more beneficial for the caregivers or for the family members of the individual to force treatment. This right to decide to refuse treatment is a human right we all enjoy. Mental health treatment under human rights law should be the same as other treatments in regards to consent to treatment. But it is a sad fact that this right has not necessarily been consistently protected and thus through our mental health systems extended to people with mental disabilities. Because those with mental health disabilities are often detained, this then often automatically leads to forced treatment. This does not necessarily need to happen. It is not theoretically inconsistent with confining someone in a psychiatric facility, but still leaving them with the authority to decide treatment decisions. No treatment should be provided except in emergency situations until a determination of capacity has been made through a judicial hearing for treatment decisions. The hearing must be by an independent arbiter, and be judicial in character. In addition, there must be a right of the patient to return for re-consideration of the situation at regular intervals. A hearing to determine incapacity is required. Persons, who are lacking capacity, are often institutionalized and over-medicated. In the U.S.A., many medical institutions are allowed to include wards of the State in research that presents greater than minimal risk to the subject with no prospect of direct benefit for the research subject. Forcing wards of the court to take medications that are “off-label” (not approved for that use by the Food and Drug Administration), is tantamount to human experimentation on the vulnerable wards of the court. Such violations of human subject provisions are routine with many patients in locked state and federal institutions given psychiatric drugs for “off-label uses.” Problems of patient abuse occur including: excessive dosing for purposes of chemical restraint, poly-pharmacy with multiple medications, lack of informed consent and the use of medication with little or no direct doctor/patient contact. There is a clear ethical need for human rights protection of persons used as human subjects in medical, social or behavioral research. The U.S. government needs to fully review the current administrative and legislative efforts to protect human subjects. Radley DC, Finkelstein SN, Stafford RS. (2006) “Off-label prescribing among office-based physicians.” Arch Intern Med 2006;166: 1021-6. Addington v. Texas, 441 U.S. 418 (1979) (civil commitment). U.S. v. Sell, Riggins v. Nevada, 504 U.S. 97 (1992). See U.N. Doc. A/63/175 (2008), particularly paragraphs 40, 44, 47, 49, 50, 61-65, 73-74. Guardianship for the Elderly: Protecting the Rights and Welfare of seniors with Reduced Capacity, U.S. Senate Special Committee on Aging (2007). Commission on Mentally Disabled and Commission on Legal Problems of the Elderly, Guardianship: An Agenda for Reform –Recommendations of the National Guardianship Symposium and Policy of the American Bar Association, 12 A.B.A. 1989 [Wingspread Recommendations]. Guardianship Abuse of the elderly: A violation of Constitutional Rights Precipitating an extreme punitive civil penalty (see: http://www.probatecourtreform.com/files/guardianabuse%283%29.pdf). Bayles, Fred and McCartney,Scott, “Declared ‘Legally Dead’ by a Troubled System,” in Guardians of the Elderly: An Ailing System, AP Special Report, in Abuses in Guardianship of the Elderly & Infirm: A National Disgrace, H.R. Comm. Print 100-639 (Dec. 1987). Wood, Erica F. “The Availability and Utility of Interdisciplinary Data on Elder Abuse: A White Paper for the National Center on Elder Abuse,” American Bar Association Commission on Law and Aging for the National Center on Elder Abuse (Washington, D.C.: May 2006). Wood, Erica F. (2006) “State-Level Adult Guardianship Data: An Exploratory Survey,” American Bar Association Commission on Law and Aging for the National Center on Elder Abuse, August 2006. Teaster, Pamela et al., The 2004 Survey of State Adult Protective Services: Abuse of Adults 60 Years of Age and Older (Boulder, Colo.: February 2006). Leonnig, Carol D.; Sun, Lena H. Sun and Cohen, Sarah. (2003) “Misplaced Trust: Special Report.” The Washington Post (June 15-16, 2003). Kelly, Kowalski & Novak, (2008) “Courts Strip Elders of Their Independence,” Boston Globe, 1/13/08. U.S. Government Accountability Office. (2006) Guardianships: Little Progress in Ensuring Protection for Incapacitated Elderly People. Testimony of Barbara D. Bovbjerg, Director Education, Workforce and Income Security, before the Special Committee on Aging, U.S. Senate. No. GAO-06-1086T (2006). In the United States new drugs are tested in clinical trials (research studies) before they are approved by the US Food and Drug Administration (FDA) for use in the general public. When the FDA is satisfied that the drug works and is safe, it and the maker of the drug create the drug label. This is not an actual label that sticks to a bottle, but a report of very specific information about the drug. The FDA must approve this report, which is made available to all health professionals who prescribe or sell the drug. The drug label gives information about the drug, including the specific medical condition(s) it’s approved for (called the indication(s) for use), the doses to be used, and how it’s to be given. When a drug is used in a way that is different from that described in the FDA-approved drug label, it’s said to be an “off-label” use. The off-label use of FDA-approved drugs is not regulated, but it is legal in the United States and many other countries. While it’s legal for doctors to use drugs off label, it’s not legal for drug companies to market (advertise or promote) their drugs for off-label uses. Off-label marketing is very different from off-label use. Some of the problems of off-label drug use is that it often does not reflect “standard of care” treatment. This could cause a patient have an unwanted or bad outcome from the treatment. The FDA does not regulate the practice of medicine. In general, once the FDA approves a drug, licensed doctors can use it for any purpose they consider medically appropriate. One of the biggest problems related to widespread off-label use is the lack of information about how to best use the drug other than for what it was approved. The drug label contains the information that’s been approved by the FDA, and it does not cover off-label uses. Lack of information on off-label drug use and outcomes puts patients at a higher risk for medication errors, side effects, and unwanted drug reactions. For proper medical use of an off labeled drug, the doctor should adequately inform the patient about the possible risks of using the drug and weigh them against the possible benefits. When a court of law decides that a patient should receive off-label drug medical treatment, the process of obtaining prior, free and informed consent does not occur. Off label promotion of misbranded prescription medications is very common in the vulnerable population of persons who are wards of the court because of the low risk of detection and low risk of medical malpractice liability. Off-label promotion can involve the following: 1) Paying incentives to sales representatives based on sales for off-label use; 2) Paying kickbacks to physicians to prescribe drugs for off-label use; 3) Disseminating misleading posters promoting off-label use; 4) Paying physicians: (a) To pretend to be the authors of articles about off-label uses when the articles were actually written by manufacturers’ agents; (b) To serve as members of “advisory boards” promoting off-label use; (c) To travel to resort locations to listen to promotions about off-label use; or (d) To give promotional lectures in favor of off-label use to fellow practitioners. 5) Providing advice to prescribers on how to code their claims and document their medical records to support payment for off-label uses not covered by Medicaid; 6) Publicizing studies showing efficacy of off-label uses while suppressing studies showing no efficacy; and 7) Making false representations directly to Medicaid to influence decisions about payment for drugs used off-label. The Belmont Report was published in the Federal Register, and reprints are provided upon request to scientists, members of Institutional Review Boards, and Federal employees. The two-volume Appendix, containing the lengthy reports of experts and specialists who assisted the Commission in fulfilling this part of its charge, is available as DHEW Publication No. (OS) 78-0013 and No. (OS) 78-0014, for sale by the Superintendent of Documents, U.S. Government Printing Office, Washington, D.C. 20402. Inter-American Convention on the Elimination of All Forms of Discrimination against Persons with Disabilities, supra note 35, Preamble and Article III (1). Article 12 of the Convention affirms the equal recognition before the law and legal capacity of the persons with disabilities. States Parties should: 1) Reaffirm that persons with disabilities have the right to recognition everywhere as a person before the law. 2) Recognize that persons with disabilities enjoy legal capacity on an equal basis with others in all aspects of life. 3) Take appropriate measures to provide access by persons with disabilities to the support they may require in exercising their legal capacity. 4) Ensure that all measures that relate to the exercise of legal capacity provide for appropriate and effective safeguards to prevent abuse in accordance with international human rights law. Such safeguards shall ensure that measures relating to the exercise of legal capacity respect the rights, will and preferences of the person, are free of conflict of interest and undue influence, are proportional and tailored to the person's circumstance, apply for the shortest time possible and are subject to regular review by a competent, independent and impartial authority or judicial body. The safeguards shall be proportional to the degree to which such measures affect the person's rights and interests. European Court of Human Rights, Case of Storck v. Germany, Application No. 61603/00, judgment of June 16, 2005, p. 103. In 2009 the Special Rapporteur on the Right to health stressed that the right to health is contingent on the right to access to information. The Special Rapporteur stated that informed consent is a “voluntary and sufficiently informed decision, protecting the right of the patient to be involved in medical decision-making, and assigning associated duties and obligations to health-care providers.” The right to receive and impart information is an integral element of the right to health. Completeness of information is among the required components of informed consent. To obtain prior informed consent requires disclosure of the associated benefits, risks and alternatives to a medical procedure. The accuracy and completeness of information is necessary for valid informed consent for medical treatment. Without truthful scientific information about the associated benefits, risks and alternatives to a medical procedure or treatment is required for consent to be valid. The guarantee of informed consent is to respect the autonomy, self-determination and human dignity of individuals. It constitutes a violation of a patient’s right to health to act, or fail to act, in a way that deprives that patient from the information he or she needs to provide informed consent. In addition, the withholding of the facts presented in the mental health evaluation which was used to certify the Petitioner as legally incapacitated, is also a violation of Article 13 of the American Convention. Without the facts it is impossible to mount a legal defense for the patient. The Inter-American Commission on Human Rights has established the principle that “every person has the right to access to information about himself or herself.” States within the context of the American Convention therefore must guarantee the exercise of this right. The Inter-American Court of Human Rights stipulated the right to “seek” and “receive” “information”, as per Article 13 of the Convention protects the right of all individuals to request access to State-held information. This includes the right of the individual to receive such information and the positive obligation of the State to provide it. In a landmark case Claude-Reyes et al v Chile, Freedom of thought and expression is also protected by Articles IV of the American Declaration and 13 of the American Convention. Access to truthful scientific medical information is essential to patient informed consent. Unimpaired access to medical information is necessary in the fight against pharmaceutical corruption and medical fraud, and impacts the public health. By encouraging and creating a more transparent system for the distribution of medical information to the public, and demanding criminal accountability for the deceptive off label promotion efforts by the pharmaceutical industry, the United States could start eliminating corruption in the pharmaceutical marketing and health care systems. In April 1999, the Inter-American Commission on Human Rights approved Report No 63/99 in the case of a person with a mental disorder. That report finds that it is “pertinent to apply special standards to the determination of whether the provisions of the Convention have been complied with in cases involving persons suffering from mental illnesses” or detainees in psychiatric hospitals, who are considered to be a particularly vulnerable group. In that report, the IACHR interpreted the standards of the American Convention that provide for the right to physical integrity, the right to life, and the right to judicial protection in light of the Mental Health Principles. In that report, the IACHR also agreed with the position of the European Court of Human Rights, which has established that the state of health of a victim is an important factor in determining whether they have been subjected to inhumane or degrading punishment or treatment and therefore concluded that the incarceration of a mentally disabled person under deplorable conditions and without medical treatment may be considered as inhumane or degrading treatment, prohibited under Article 5(2) of the American Convention on Human Rights. The pharmaceutical companies have an extensive history of criminal off label promotion of their psychiatric medications. Off-label marketing of medications is the promotion of these drugs for uses that have never been approved by the Food and Drug Administration, and for which they had not been proven to be either safe or effective. The off-label use of these medications increased in adolescents, due to an organized effort by the pharmaceutical industry to proactively increase the diagnosis of depression in teenagers. One way they did this was through the “Teen Screen” program done through the public school system. The public did not realize that these off-label uses had never been approved by the FDA. Pharmaceutical research financing is an important part of the budget of mental health facilities. Patients are without their prior informed consent, enrolled in clinical experimental trials financed and controlled by the pharmaceutical companies. Doctors do not go through the necessary steps required to protect the patient’s rights for human subjects in medical experimentation as required under The Common Rule. Patients are often not informed at all about the experimental use of the medication. This continues to be common practice within psychiatric hospitals and mental health clinics where they do emergency mental health interventions. Even in private practice, mental health professionals do not get patient’s prior informed consent prior to enrolling the patient into poorly supervised experimental off-label clinical use. Patients do not realize that these medications had not been proven safe or effective and the use of these products was essentially clinical experimental use of the product by their personal physicians. Pharmaceutical companies are currently being criminally convicted by the U.S. Department of Justice of gross misrepresentations of their drug’s safety and efficacy and misbranding of their product. FDA can pursue misbranding cases criminally, and the consequences can be severe, especially when the FDA believes that the violation was committed with the intent to defraud or mislead. Federal law in the United States - 21 USC § 331 makes clear that federal law prohibits “the introduction or delivery for introduction into interstate commerce of any food, drug, device, tobacco product, or cosmetic that is adulterated or misbranded,” and “the adulteration or misbranding of any food, drug, device, tobacco product, or cosmetic in interstate commerce.” Additionally, 21 USC § 352(f) provides that a drug will be deemed to be misbranded unless its labeling contains adequate directions for use, which typically requires the directions to allow a layperson to use the drug safely and for the purposes for which it was intended. In one recent case in 2012 for example, Abbott Laboratories Inc. plead guilty and agreed to pay $1.5 billion to resolve its criminal and civil liability for their off label promotion of Depakote. Abbott promoted Depakote to control behaviors in elderly dementia and schizophrenia patients without significant evidence of its effectiveness for that use, and even after clinical data established that it was not effective. The resolution includes a criminal fine and forfeiture totaling $700 million and civil settlements with the federal government and the states totaling $800 million. Abbott also will be subject to court-supervised probation and reporting obligations for Abbott’s CEO and Board of Directors. Separate from the DOJ settlement, Abbott agreed to pay 45 states a total of $100 million to resolve liability under the state consumer-protection laws. That makes this the second-largest fraud settlement involving a drug company, behind only the $2.3 billion Pfizer settlement in 2010. The company maintained a specialized sales force to market Depakote for off label purposes; targeting elderly dementia patients in nursing homes. Abbott has pleaded guilty to misbranding Depakote by promoting the drug to control agitation and aggression in elderly dementia patients and to treat schizophrenia when neither of these uses was FDA approved. The FDA approved Depakote for only three uses: epileptic seizures, bipolar mania and the prevention of migraines. The FDA never approved the drug as safe and effective for the off-label use of controlling behavioral disturbances in dementia patients. In 1999, Abbott was forced to discontinue a clinical trial of Depakote in the treatment of dementia due to an increased incidence of adverse events, including somnolence (sleepiness), dehydration and anorexia (loss of appetite) experienced by the elderly study participants administered Depakote. Abbott’s off-label promotion of Depakote was multifaceted. Abbott trained its sales force to promote Depakote to health care providers and employees of nursing homes as advantageous over antipsychotic drugs for controlling agitation and aggression in elderly dementia patients because Depakote was not subject to certain provisions of the Omnibus Budget Reconciliation Act of 1987 (OBRA). OBRA’s implementing regulations were designed to prevent the use of unnecessary medications in nursing homes. Exploiting the fact that certain OBRA provisions did not yet apply to Depakote, Abbott sales representatives stated that by using Depakote, nursing homes could avoid the administrative burdens and costs of complying with OBRA. The company entered into contracts that provided long-term care pharmacy providers with payments of rebates based on increases in the use of Depakote in nursing homes serviced by the providers. The company wound up giving millions of dollars in rebates to pharmacists at long-term-care facilities that were based on increases in the use of the drug in nursing homes they serviced. Abbott created programs and materials to train the pharmacy providers' consultant pharmacists about the off-label use of Depakote to encourage them to recommend the drug for this unapproved use. Not only did Abbott engage in off-label promotion, but it targeted elderly dementia patients and downplayed the risks apparent from its own clinical studies, putting profits ahead of patient safety. Abbott offered and paid illegal remuneration to health care professionals and long term care pharmacy providers to unduly influence the content of company sponsored Continuing Medical Education programs, in violation of the Federal Anti-Kickback Statute. In the agreed statement of facts, Abbott also admitted that from 2001 through 2006, the Company misbranded Depakote by marketing the drug to treat schizophrenia. Abbott funded two scientific studies of the use of Depakote to treat schizophrenia, and both failed to meet the main goals established for the study. When the second study failed to show a statistically significant treatment difference between antipsychotic drugs used in combination with Depakote and antipsychotic drugs alone, Abbott waited nearly two years to notify its own sales force about the study results and another two years to publish those results. During this time, Abbott continued to promote Depakote off-label to treat schizophrenia. In another criminal case, Pfizer paid $1.3 billion in criminal fines for “misbranding” (the legal term for off-label marketing) drugs. And that was just the tip of the iceberg, considering the total package of the settlement was $2.3 billion when adding in Department of Justice (DOJ) fees and costs. The fine was so high because Pfizer was considered a “repeat offender” after it continued to promote Lipitor and Viagra for off-label uses following a request to cease and desist these practices by the FDA. Large criminal fines of billions of dollars were awarded by the courts, but this did little to effectively curtail the direct marketing of these off-label uses of pharmaceutical products to consumers and to medical professionals. Drug manufacturers consider the monetary penalties as just another cost of doing business. So pharmaceutical companies continue to collect huge sums of profit from the allegedly illegal acts and even after the criminal convictions. Patients are not withdrawn from these dangerous medications. Instead, Medicaid and Medicare continue to pay for these off label medications for treatment of wards of the court (even after criminal prosecution). Judges who run mental health courts are not warned by the Department of Justice that the drugs they are forcing on wards of the court have been proven to be dangerous to patients and the pharmaceutical company criminally convicted. Because the judgment and settlement penalties proved to be ineffective deterrents of these practices, the FDA and DOJ started to find other ways to try to stop the manufacturers from on-going unlawful activities. The federal agencies have begun to employ two new strategies: 1) bringing criminal charges against wayward company executives, and 2) barring the offending manufacturers from doing any business with or for the various and multiple federal prescription benefit plans (e.g., Medicare, Medicaid). The U.S. federal government is the largest single purchaser of drugs in the world. The involvement of the court system to enforce these new deterrents is absolutely crucial. Thus the probate judges should enforce the patient’s right to free prior informed consent and the right to be free from non-consensual experimentation. Persons with mental disabilities are often discriminated by reason of their condition. According to the Inter-American Convention on the Elimination of All Forms of Discrimination against Persons with Disabilities, States are obligated to properly supervise care and take actions necessary prevent all types of discrimination. Patients who live in psychiatric institutions or are undergoing treatment therein, are particularly vulnerable to torture and other types of cruel, inhuman or degrading treatment. These persons are more susceptible to mistreatment when hospitalized. The autonomy and right to self-determination of patients is severely curtailed in healthcare institutions which impinges on personal integrity. The States have the duty to supervise and guarantee that in all psychiatric institutions, either public or private, the patients´ right to receive a worthy, humane, and professional treatment be preserved and that said patients be protected against exploitation, abuse, and degradation. States are also obligated to promote the full integration of such persons in society. The rights of the disabled are delineated in federal policy and law most notably in the Americans with Disabilities Act (ADA). The international human rights treaty – The Convention on the Rights of Persons with Disabilities (CRPD) was signed by the President of the United States, Barack Obama. Article 12 of the CRPD affirms the equal recognition before the law and legal capacity of the persons with disabilities. Article 13 of the CRPD affirms the effective access to justice for persons with disabilities. Article 25 specifies that "persons with disabilities have the right to the enjoyment of the highest attainable standard of health without discrimination on the basis of disability." The Convention on the Rights of Persons with Disabilities (CRPD) also protects the integrity of the person. Article 17 of the CRPD states that every person with disabilities has a right to respect for his or her physical and mental integrity on an equal basis with others. Regarding individuals in psychiatric treatment, the United States cannot completely absolve itself of its responsibilities under international treaty law by delegating legal responsibility for determinations of legal capacity and guardianship to the law of the state rather than by federal law. The federal government of the United States still has the obligation to guarantee and protect human rights and to ensure humane treatment. That legal capacity and guardianship are governed by the law of the state members of the United States of America, and not by federal law, does not absolve the federal government of its responsibility. The United States, as a nation state, still retains a duty to exercise supervision and control over public and private psychiatric institutions. The judicial system or judicial branch of government and administrative institutions of the United States must not only provide competent supervision on a regular basis of the confinement and medical treatment, but also whether it is justified.